The equipment system followed by battles. * Begin testing battles: damage formulas, battle text, etc. Mostly the same weekly goals as last time, I realize! I missed two main things last week: I underestimated how long it would take to order a computer (over ten hours of research) and I figured there’d be a linear time scale for testing new fashion effects. Not the case! The more I add, the longer it takes to save changes, among other things. I back a lot of Kickstarter video game projects and I’ve repeatedly seen developers start giving weekly updates and eventually move to monthly or bimonthly because not enough is happening on a weekly basis to report on. Now I understand why. It’s the sane thing to do. …but I’m an indie developer. I don’t need no stinking sanity! …at least not yet. Weekly updates will continue because I’m pushing myself. As part of the fashion system, I have various hidden stats like Shoes, Fashion Theme, and Femininity Confidence that I might need to redo following a recent discussion with the awesome developer of the framework I’m using. Changing them would mean redoing all fashion effects, among other things, but if I’m ever going to redo them, it would only be tougher in the future. If penciling out a new hidden stat system tells me this is the way to go, then it’s best to rip that Band-Aid off now. In much better news, my new laptop is coming, so it’s onward and upward in a matter of days! My current 2007 laptop is a 2.27 GHz dual-core with 4GB memory while my new one is a 2.7 GHz quad-core with 8GB memory and a solid state hybrid drive, so it’ll be a huge performance upgrade all around. This entry was posted in All Text, Devlogs, Dreamblazers, Game Design, Kickstarter, Video Game Writing on March 10, 2014 by JellyPaladin. In a “why didn’t I think of that?” moment, it was suggested to me that maybe I could do a write-up here about current Kickstarter project Sword of Fargoal 2. You know what? Absolutely. I should have been doing this kind of thing since three months ago. Making an awesome game or prototype is less than half of a success story; marketing is arguably more crucial even in the traditional publishing model, but definitely so in the crowdfunded model. What good would it do anyone if one of the world’s greatest games floats out there in the ether, known only to eight people because it didn’t get needed exposure? I’ve already been giving advice to Kickstarter creators that they sometimes take (most notably, Two Brothers moved the soundtrack reward down to $25 from $50), but I can do more. Starting today, I begin highlighting any Kickstarter games that I back. 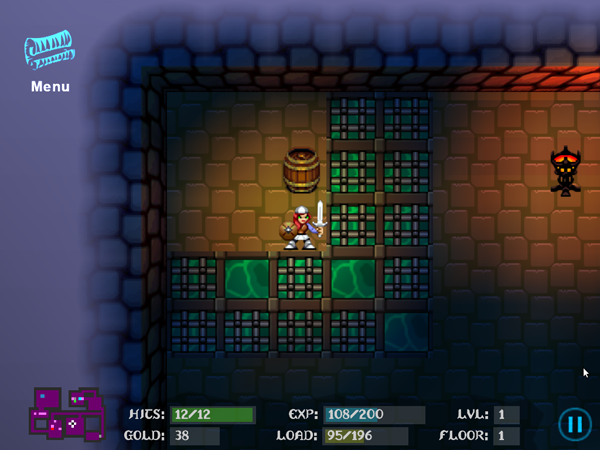 It’s a roguelike: a rare genre, to say the least. Root for the underdog! The art is done right. Retro styles aren’t always handled well; many games attempt them and fall into the 8-bit or 16-bit equivalent of uncanny valley—they almost look old-school, but not quite. Something tiny is off that. Sword of Fargoal 2 nails the art correctly and genuinely. Visible equipment changes in a 2D game. Between 2D RPGs and adventures, I’ve played probably over 150 games and I can remember two with visible equipment changes: Wonder Boy in Monster World and Landstalker. It was cool there and it will be cool again. I love seeing the results of a character moving through progressively more awesome equipment, so rock on, Fargoal 2. …and a high challenge level. I like lootin’ time always and I like clobberin’ time when it’s a two-way street. 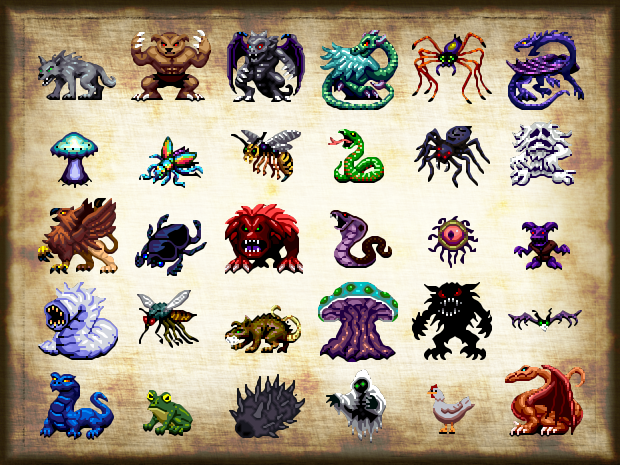 Dungeons, dragons, monsters, mayhem, swords, slimes: I want it all. This entry was posted in Kickstarter and tagged 2D, RPGs on October 7, 2012 by JellyPaladin.